Have you ever experienced a time when your garage door doesn’t open? What a pain it can be! At Covenant Garage Door, we fix and repair or install brand new garage door openers. Not all garage door openers are the same, and so we don’t just sell any old garage door opener. We have worked with hundreds of garage door openers and we know the garage door openers that are the most reliable, and have the best quality at an affordable price. 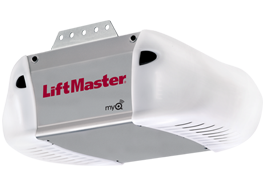 Before you buy a garage door opener, contact us! We might be able to repair your existing opener but if not, we’ll make sure that you get the right garage door opener for your garage. Copyright © 2019 · Covenant Garage Door Company, LLC · This website was Changescaped.